I'm giving this four stars, but I'm struggling a little bit with that rating. 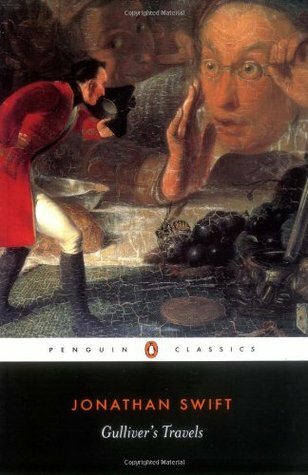 The book was fantastic, and Swift uses Gulliver's conversations with the people he visits to shine a light on both the virtues and atrocities of English society at the time. The only trouble is, Gulliver takes four voyages and, during his conversations with the people/creatures of these lands, repeats many of the points on government and society. So, while brilliant and certainly entertaining, the repetitive nature of the book made it a slow, often tedious read.